Last year Google finally got serious about smartphones, and not just smartphone operating systems (an area it's been winning in for years). The Pixel line isn't just an overpriced Nexus wannabe as the haters will say, and you need to look no further than the cameras (and especially camera processing) employed to realize how much of a departure it is from the Nexus lineup. The original Pixels were both welcome and shocking - in their price points, but also when it comes to looks and their bezel-embracing similarity to Apple's phones of 2016. 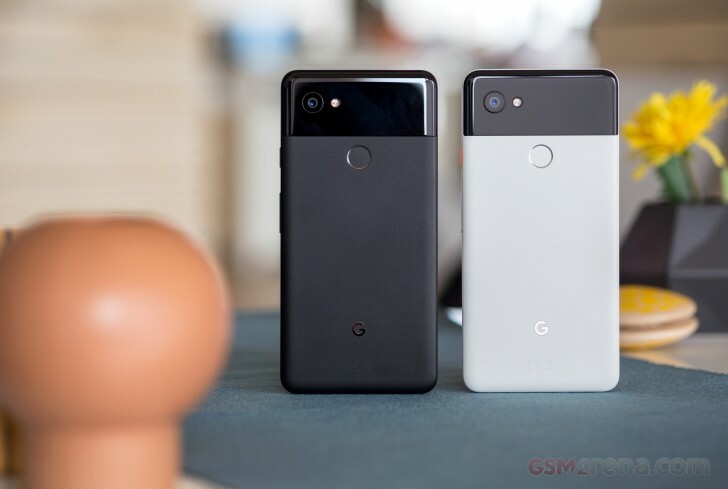 Now though Apple has the iPhone X and Google has gone back to the drawing board to come up with the Pixel 2 XL. A decidedly more modern-looking successor to the XL from last year, we've thoroughly reviewed this handset already. And if you're interested in our suite of standardized tests and objective impressions you're welcome to take a look over there. This long-term review is going to take a deeper dive into what it's like to actually live with the Pixel 2 XL, as the main and only phone, for a longer stretch of time. We'll try to answer the questions you might have about the device, regarding things that aren't covered in our proper review. For example, can you actually get used to that screen? Learn to enjoy it even? Is the Pixel 2 XL a huge improvement over its predecessor? Does it really take such amazing pictures? (OK, so you probably know the answer to the last one). We'll also cover how easy it is to set up and let you know about any niggles and issues we've encountered in day to day use. Let's jump in and find out if the Pixel 2 XL really is worth your hard earned cash. The following article is the first in a series of long-term reviews - a format which we haven't attempted before. While our regular reviews are focusing on assessing every aspect of a device's performance in the most objective way possible, the long-term review is where we will give you a more subjective look - an outline of what it's like to actually live with a specific smartphone every day. We would appreciate your feedback on this new format in the comments section, and we'll do our best to incorporate your suggestions into the next iterations.